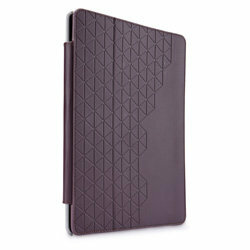 Cover folds to provide multiple angles for viewing videos, playing games, browsing the web, typing, etc. 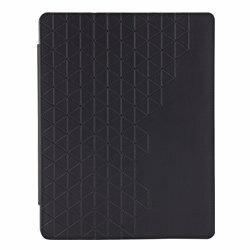 Slim, Hard Shelled, Polycarbonate iPAD3 Folio. Optimized to fit your iPAD3 perfectly! This sleek, fitted folio accessorizes the iPad® 2 or new iPad® with subtle elements of design and exciting colors. Whether you need to jot down a quick note or want to sit back and watch a movie, we cover every angle. High-quality materials are used throughout this exceptionally crafted case, which is backed by a 25-year warranty against defects in materials and workmanship. 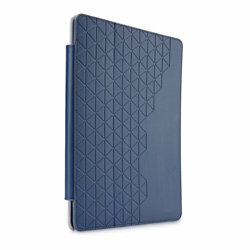 Sleek and sophisticated folio precisely fits the iPad 2 and new iPad. When you close the folio, your iPad remains protected with soft, scratch-resistant lining and an integrated magnet closure that automatically puts iPad into sleep mode. Geometric design on the exterior of the sleeve adds a hint of style and texture. 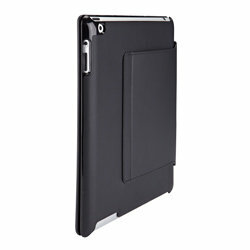 Multiple angles allow you to adjust your iPad inside the case for comfortable viewing and typing. The folio comes in four sophisticated color options.